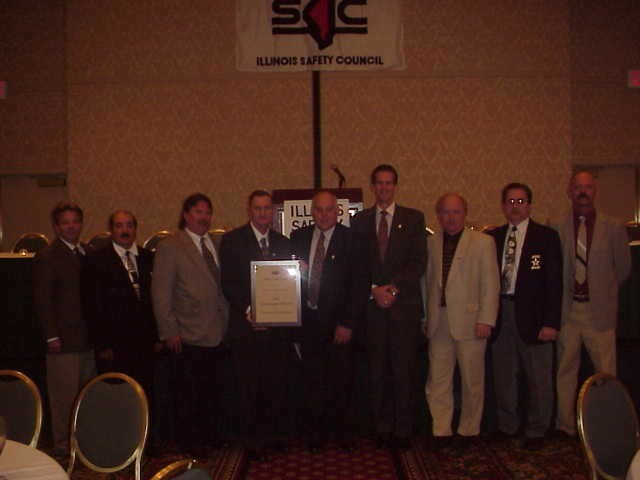 The Indiana Harbor Belt Railroad received a Safety Award when the Illinois Safety Council held is 77th annual members meeting and awards banquet at the Oak Brook Marriott Hotel on May 7, 2002. Ninety-three (93) Safety and Health Awards, 30 Safety Awards, and Two Million Hour Awards were presented to 79 organizations. The annual members’ meeting and safety recognition program is as old as the Council itself. Qualifying member organizations were recognized for their outstanding safety and health performance, and their notable transportation safety achievements during 2001. 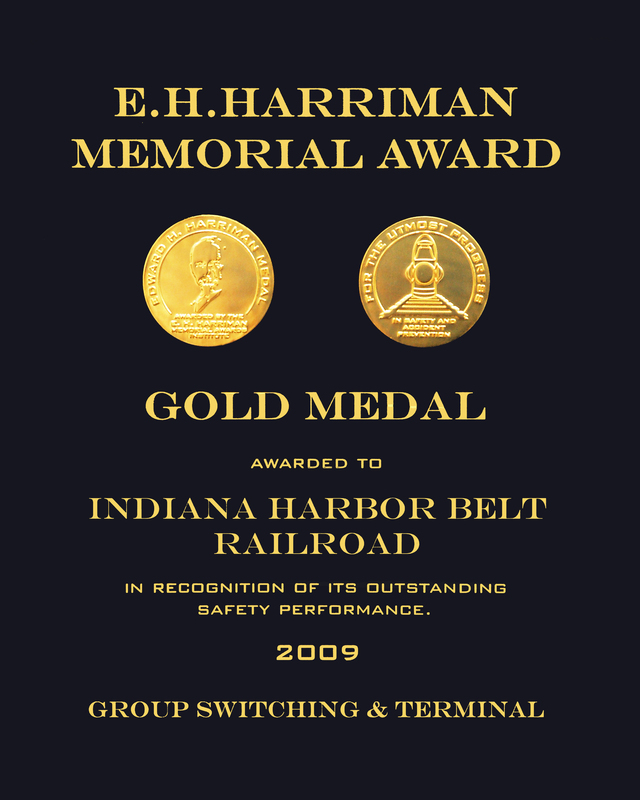 The Indiana Harbor Belt Railroad earned a Transportation Award recognizing Outstanding Safety Performance for its efforts in significantly reducing the number of vehicle accidents in 2001. “This transportation award recognizes the combined efforts of committed managers and dedicated employees who recognize and demonstrate the value of safe driving every mile of every day,” said George Hiles, president of the Illinois Safety Council. Employees representing vehicle operators from various departments, as well as IHB managers, attended the dinner and accepted the award on behalf of the IHB. They are pictured below: Ken Bushnell, Celestino Reyes, Gary VanNorman, Frank Jurgensen, Garold Anderson, Derek Smith, James Griffith, John Macadlo, Michael Mazur (picture by Lou Mayden). We certainly echo the Illinois Safety Council’s sentiments in that we are proud of this important achievement and hope to repeat this outstanding performance in the future.